Have you decided that you have spent enough time in the car on your commute to and from work? It drives you crazy getting stuck in traffic to travel 10 miles or less? Or is your walk to and from the metro as long as it would take you to bike to work? Drivers are not smart where I live. What if I get hit? Well for starters, there are many ways to avoid heavy bags or cleaning up once you get to work. When I first began bike commuting, I invested in a bag specifically for bike commuting. It came standard with a pocket for my computer, a large pocket for storing clothes and food, and two smaller pockets for keys, bike locks and more. My bag also has two side pockets for water bottles and a front mesh area which I used a lot for my bike lock. After I had switched to this bag, commuting became a lot easier. I would fold up my clothes for work every morning, pack some flats and my lunch all in my big pocket of my bag. Everything fit perfect, and the bag was not too heavy (when you add a laptop, that’s a whole different ball game). Where I work, we are lucky enough to have a bike room where people can lock up their bikes. 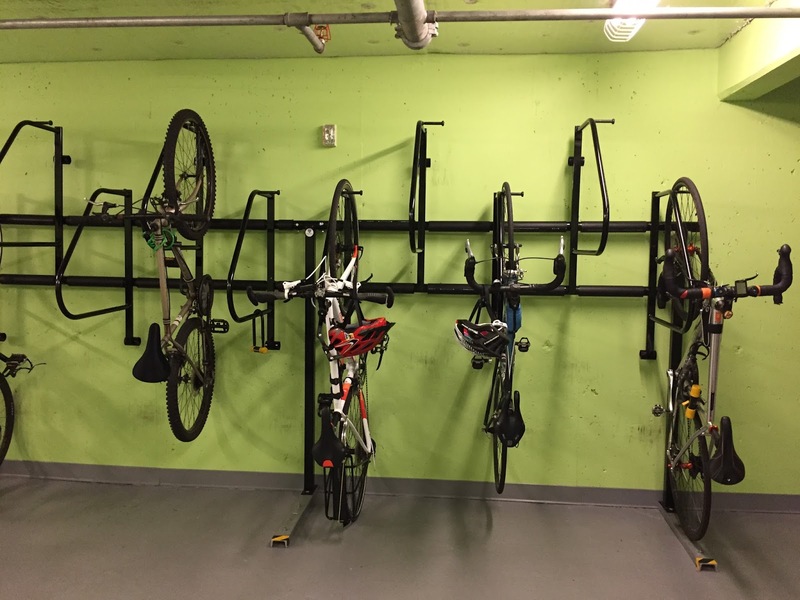 I know not every office has one, and some may even let you bring your bike to your desk, but bike rooms or spots outside a building where you can lock it up, help immensely with having and knowing where to store it during work hours. Gyms are becoming commonplace in offices, so if you have one, utilize it in the morning. This is where I go after my ride in to dry off with a towel and store items in a locker for the day. If you don’t have a gym, consider Nathan Power Shower wipes to clean yourself off. I keep a lot of things at work including shoes, spare change of clothes, dry shampoo and deodorant. I can say without a doubt, they are needed and necessary. If you can’t carry all of those items with you, on a day where the weather is bad, consider bringing those items to the office and leaving them there. You will be happy you did. Now, the dreaded what if I get hit? Of course, that could happen, but it could also happen if you are out biking gon the weekends. Bring lights with you, a bell and attach a mirror to your handlebars for safety precautions. Use the bike lane if there is one, or stay to the right. But be aware and vigilant. Bike commuting is great to avoid traffic jams, but that doesn’t mean you won’t come across a stupid driver now and then who parks in the bike lane to let a friend out. Be smart and cautious. Remember this is not a race to get to work. It is ok to bike 13 MPH instead of 20 as you did this weekend. 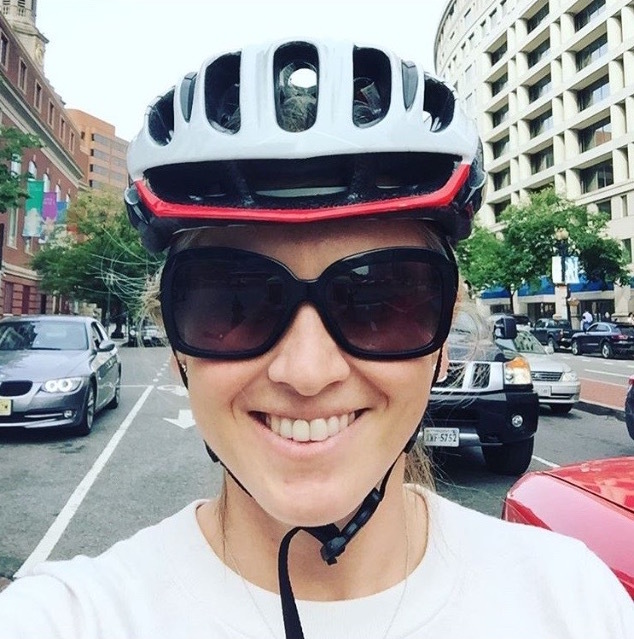 Overall, biking to work can be wonderful and enjoyable. You get to bypass cars stuck in bumper to bumper traffic, get in some exercise and enjoy the outdoors. So give it a try and why not do so on bike to work day this May 19th!